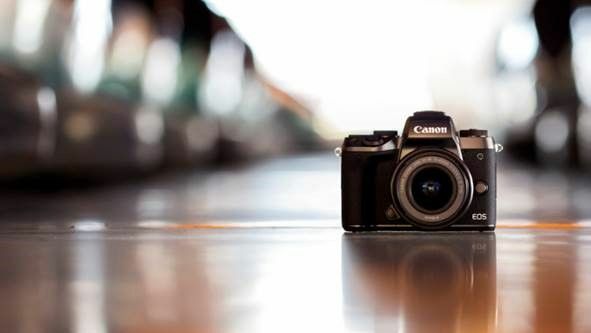 If you're a full-time photography, or you're just an enthusiast with a budget to match your imagination, having a top-of-the-line DSLR in your camera bag is a must. But as every photographer knows, you never head out to a shoot without a great backup camera, and Canon's new EOS M5 fits that role to a tee. Canon's new flagship mirrorless camera aims to cram some serious features into a compact form. It's also the first model in the EOS line to include Canon's DIGIC 7 processor and is packed with the very best imaging technology, including a 24.2 Megapixel APS-C CMOS sensor and Dual Pixel CMOS AF for sharp, precise photos and dynamic, cinematic movies. Canon has also revealed the EF-M 18-150mm f/3.5-6.3 IS STM, an ideal all-occasion lens for EOS M cameras, with a versatile 8.3x optical zoom and 4-stop Image Stabilizer for sharp, handheld shots. We've had some hands-on experience with Canon's plucky new bit of kit and we were impressed by just how feature-filled it really is - it might offer a near-DSLR, but it's a full-on photography thoroughbred. However, while it doesn't skimp on the attributes, it's not a camera that's going to suit begginers or newcomers to the world of photography. If you're looking for a smaller camera to start off with, or want to add a second to your camera bag earlier in your photography travels, this probably isn't the kit for you. The main body of the Canon EOS M5 will be available from the end of November priced at £1,049. The EOS M5 with the EF-M 15-45mm f/3.5-6.3 IS STM lens will be available from the end of November 2016, with a price tag of £1,149.